is it new? it looks new. 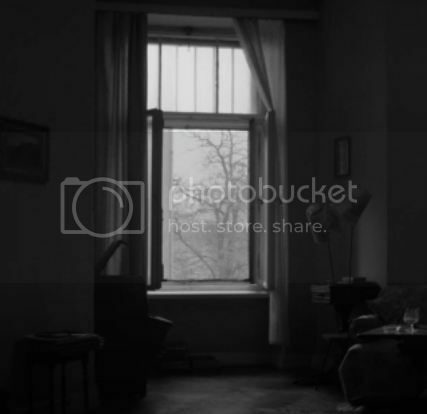 A room with a view? !....nah, probably not! It kinda reminds me of a movie called "The Savages", or maybe "Million Dollar Baby"? Are those letters I, d and a? 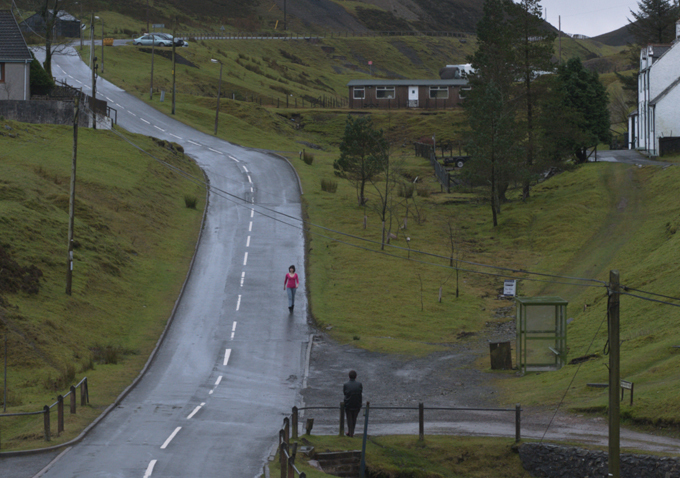 It stars a Hollywood actress (that's her walking down the road) but it's set in Scotland. Was Under the skin correct? Yeah, I just did a reverse-image search and that's apparently it. I don't know, but I desperately want to know.